5) Ask them to share it with 1-3 other friends, have them vote and so on and so forth! NMLS is a group formed by Hip-Hop beatmaker KN1 (https://soundcloud.com/kn1) bringing together a network of talented people in different facets of Hip-Hop including SonnyBCreative’s very own Sonny_B. Together, our goal is to promote independent Hip-Hop by supporting one another and others with similar interest and like minds. We hope to create a positive influence for others to simply enjoy quality music. I’m real stoked and inspired to be a part of this movement and extremely excited for this show. It’s gonna be big and I’ve got a huge solo set prepared. But here’s a sneak peak and our collaborated work and what you can expect from the show! 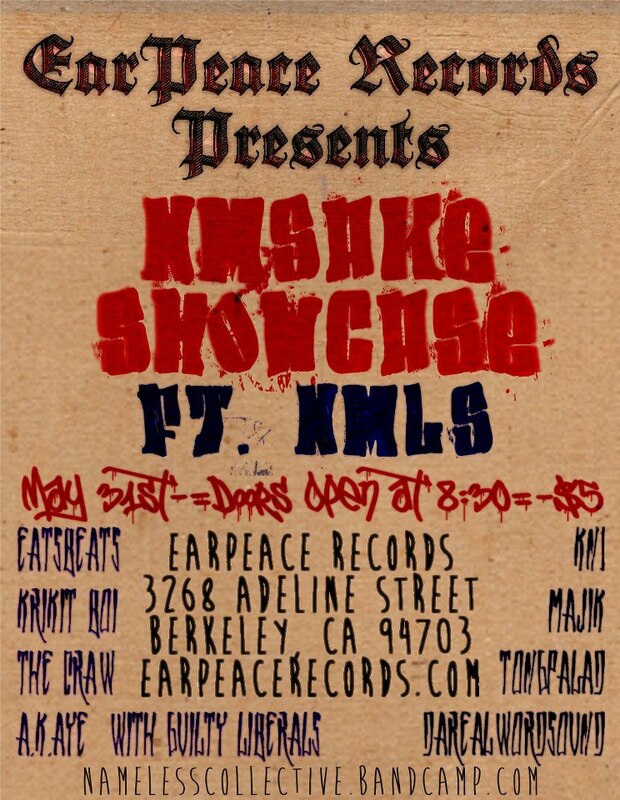 If you’re in the the Bay, around the area, in Berkeley…COME THROUGH! $5 Cover and $10 UNLIMITED BEER! Plus the Dope Vibes, what more could you ask for? ?